The Columbia College Alumni Association (CCAA) is pleased to announce that Thelma Arthur ‘05 has received the 2014 Columbia College Service Award. The award recognizes an alumnus who has provided significant contributions and service to Columbia College. After 27 years out of high school, much of which she spent working in a factory, Arthur went on to complete an associate, bachelor’s and master’s degree at Columbia College. 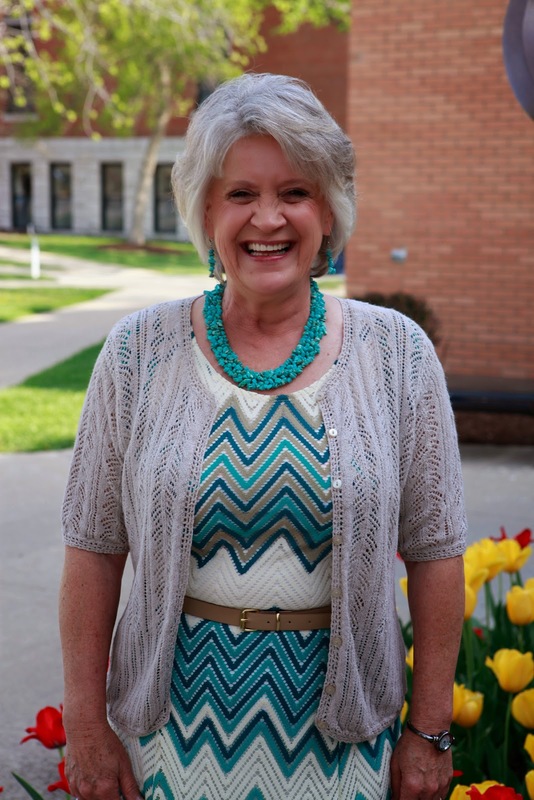 She currently serves as the senior academic advisor at the Lake of the Ozarks campus. Arthur is a first-generation college graduate, and once she earned her first degree, she couldn’t stop. Through encouragement from mentors at Columbia College-Lake of the Ozarks, Arthur traveled to the Jefferson City campus and the main campus in Columbia to complete her MBA. As senior academic advisor, Arthur has said that the best part of her job is helping students and watching them change as they pursue their degrees. Arthur and her husband, Vernon, who is also a Columbia College alumni and instructor for Columbia College, have been married 42 years and have three children, nine grandchildren and two great grandchildren.